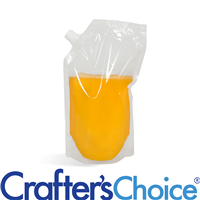 Our 12 oz Clear Spout Bag is heat sealed and can be used to hold liquid and powder cosmetics like shampoo, conditioner, bubble bath, milk bath and more! The spout makes it easy to dispense product and comes with a white plastic cap to close. This is a great way to refill bags and bottles! 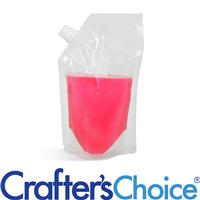 Our 20 oz Clear Spout Bag is Heat Sealed and made from mylar plastic, making it great to hold shower product. Great for refilling products! The spout makes it easy to dispense product and comes with white plastic cap to close.